Woodstock 1999 (also called Woodstock ’99) performed July 22–25, 1999, was the second large-scale music festival (after Woodstock ’94) that attempted to emulate the original Woodstock festival of 1969. Like the previous Woodstock festivals, it was performed in upstate New York, this time in Rome, New York (around 200 miles (320 km) from the site of the original event). Approximately 200,000 people attended the festival. During the four days of the festival various bands and artists performed on one of the three different stages: “West Stage“, “East Stage“, and “Emerging Artists Stage“. 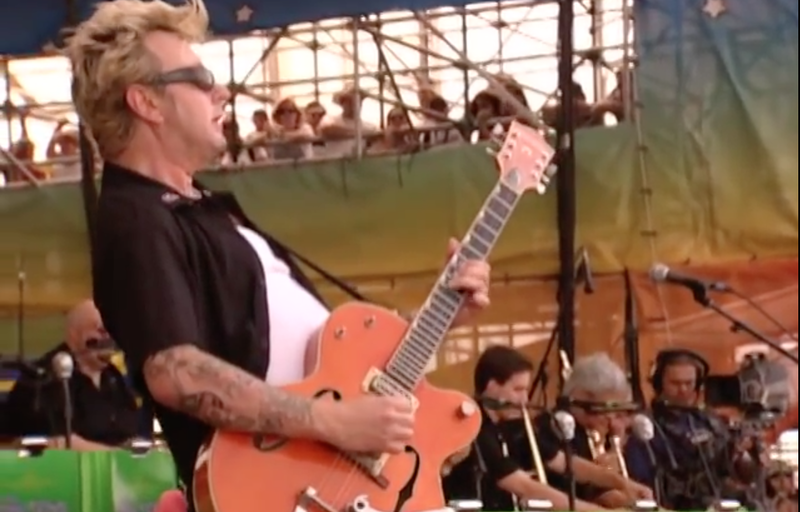 From the event’s “East Stage”; see the Brian Setzer Orchestra’s full performance in the video clip below.